After setting up a UniFi Security Gateway last week, I noticed the latest stable UniFi Controller build was up to v5.6.22, while my server was running 5.5.20. Apparently 5.6.x has been around for months and the controller does not provide update notifications due to backwards incompatibility, as the UniFi development team split versions 5.5.x and v5.6.x into separate branches. Odd business move. The 5.6.x branch is loaded with new features. UBNT could benefit from stepping up their communication in this respect. I held off on purchasing a USG for months because of glaringly absent key features, like DHCP Reservations. 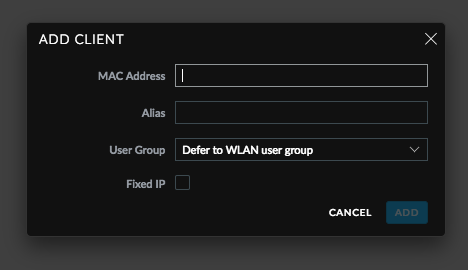 Since it’s still weakly documented, the USG does support DHCP Reservations by MAC address. In UniFi Controller v5.6.22, navigate to Clients and click the blue Add Client button in the top right. That’s it! In case it wasn’t clear, this process works for clients that are already on the network or clients that haven’t been added yet. It also works for devices like Unifi APs, even if they already present and adopted. When tiworker.exe is causing high CPU use, you can simply fix it by following the steps below. Windows 10 users should press Windows Home button and search for ‘Troubleshooting’. In the new window, look at the left side. After you go to View All, you should be able to locate ‘System Maintenance’.